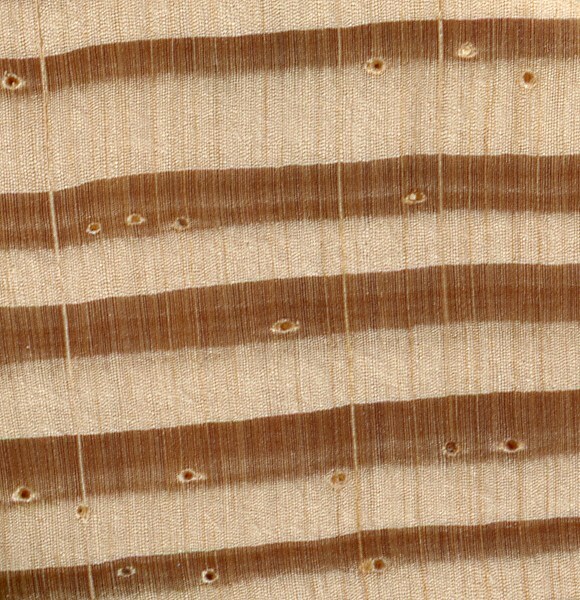 Endgrain: Large resin canals, numerous and evenly distributed, mostly solitary ; earlywood to latewood transition abrupt, color contrast high; tracheid diameter medium-large. Rot Resistance: The heartwood is rated as moderately resistant to decay. 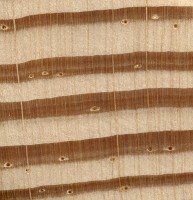 Workability: Overall, Longleaf Pine works fairly well with most tools, though the resin can gum up tools and clog sandpaper. Longleaf Pine glues and finishes well. 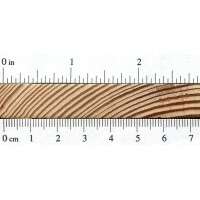 Pricing/Availability: Should be widely available as construction lumber for a modest price. Sustainability: This wood species is not listed in the CITES Appendices, but is on the IUCN Red List. It is listed as vulnerable due to a population reduction of over 20% in the past three generations, caused by a decline in its natural range, and exploitation. Natural occurrences of Longleaf Pine have been replaced by plantations of Loblolly and Slash Pine. Common Uses: Longleaf Pine is commonly used for construction, such as: stringers, roof trusses, poles, joists, piles; as well as interior applications such as subflooring and sheathing. In exterior applications, it is usually pressure-treated with preservatives. 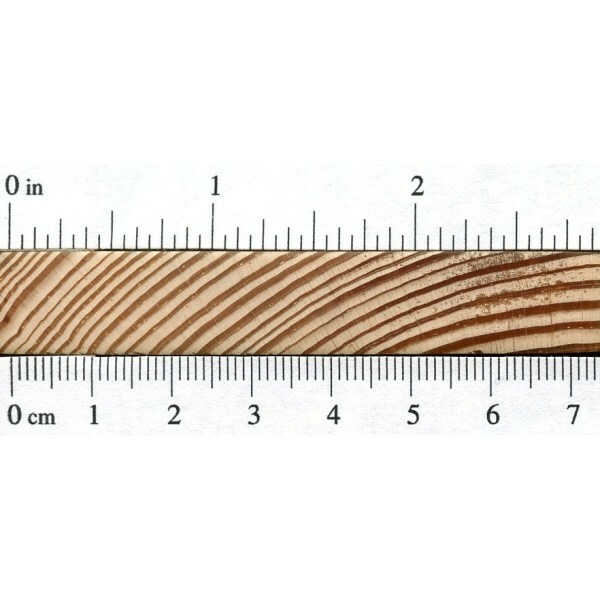 Comments: Longleaf Pine is considered to be in the group of southern yellow pines, and shares many characteristics with other species of this group (Slash, Shortleaf, and Loblolly Pine) such as being: hard, dense, and possessing an excellent strength-to-weight ratio. 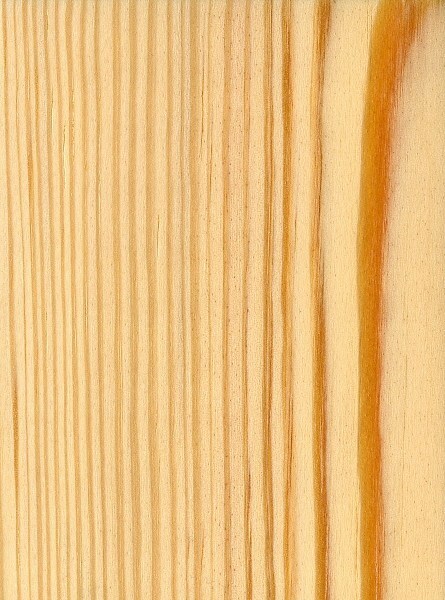 Longleaf pine is superior to the other southern yellow pines in strength, hardness and rot resistance. It has been used for keels of ships destined for tropical waters, where it was judged superior to white oak in resistance to marine borers. The underwater caissons for building the foundations of the Brooklyn bridge were built of longleaf pine. They are still down there. Salvaged longleaf pine heartwood is in strong demand as premium flooring. Salvaged wood is also great for solidbody guitars. Unfortunately there isn’t much if any new lumber available. The old virgin stands were mostly cut by the 1920’s, and it grows too slowly to be a practical plantation tree. It was the foundation of a unique ecosystem in the southeast. The Nature Conservancy is working hard in eastern North Carolina to preserve existing stands of longleaf pine and, on land it has acquired, replacing plantation pine with longleaf. Is this species considered low in population/endangered? Can you tell me what kind of wood this is? It is a beam out of a 100 year old building.